Special Features: Free flowering, bright chartreuse flowering umbels and velvety gray-green, scalloped foliage. More deeply lobed leaves than A.mollis, robust, compact and consistant habit. Thick weed-choking mounds. 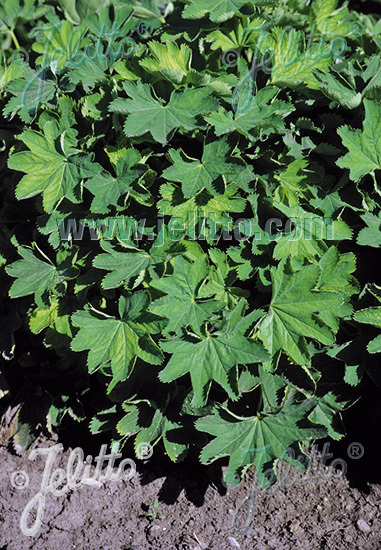 Historical: Introduced by JELITTO PERENNIAL SEEDS in 2009. 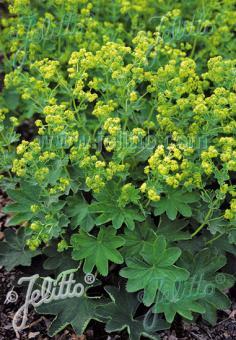 Folklore suggests that the dew drops on the leaves of Alchemilla could turn ordinary metals to gold.